Do you love Alice in Wonderland? If so, you will fall in love with this digital cut out kit and accompanying project book. The cut out kit has over 20 pages of images.These images are the original illustrations that were done by John Tenniel for Alice in Wonderland. These pages have both colored and black and white images with backgrounds, characters, collage sheets and quotes adorning each page. These images can be used in a variety of paper crafts and mixed media projects.You can use them to make cards, jewelry, ornaments and mixed media canvas art! Welcome to the Interactive Memory Book Workshop! Have you ever wanted to make your own altered book? Or altered scrapbook? Maybe start your own art journal? Have you seen the wonderful altered books shared by artists from all over the world and longed to make your own? The Creative Planner Bootcamp is a fun and comprehensive video course that will take you from envisioning your perfect planner to creating and using it. There are 5 fun modules and 15 video lessons in this course. Join Mahe Zehra on video as she shares the way she starts to plan her planner. Create a planner that will focus on your goals and needs and get introduced to a system that will give you lots of room for personalization and play! Hello welcome to The Vision Board Planner! Vision Boards are so powerful ad if you bring them into your planner they are twice as magical. In this class we’ll be creating our own vision board ideas as well as fun dashboards, quote cards and shaker pockets too! Hello, welcome to The Paper Party Book workshop! We all love parties! 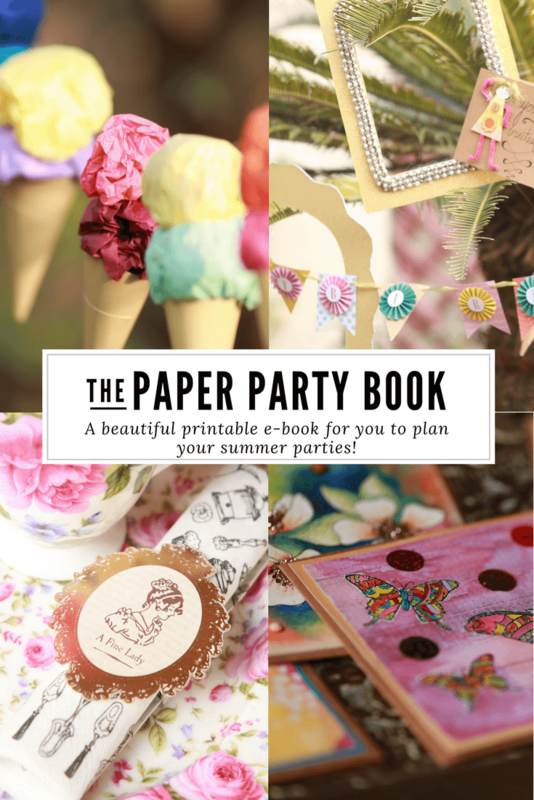 DIY parties are even better and paper projects are so easy to make for parties. From Jane Austen napkin rings to beautiful banners to ice cream garlands and photo booth props, you’re sure to love this mix of paper crafting projects just for parties. The Zentangle Art Class is a comprehensive video course that comes with fun downloads and 14 unique video classes that cover all the Zentangle basics. This is the perfect class for beginners and new tanglers.